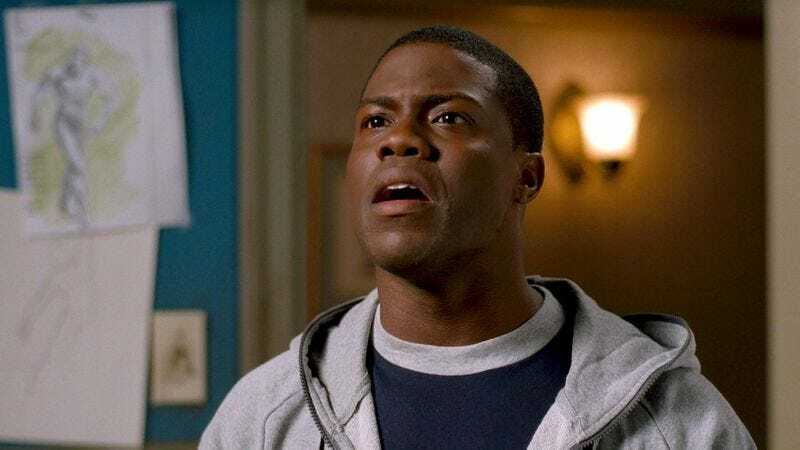 The push to make Kevin Hart a mainstream star and the renewed network interest in shows about kids and the comical difficulties of raising those kids will dovetail in a new series for ABC, Deadline reports. Hart—who has appeared on the network’s Modern Family, as a guy just sort of standing around waiting for a TV show—will partner with Community writer-producers Neil Goldman and Garrett Donovan to executive produce a multi-camera sitcom based on his standup, just as sitcoms were in days of old. While many of Hart’s jokes are about being short—and thus a fairly limited premise for a comedy series not starring Warwick Davis—this will instead be about some of his other jokes about being divorced, concerning a man who tries to stay friends with his ex for the sake of his kids, despite the fact that, as in all divorces, it was totally the kids’ fault and no one loves them anymore. Hart currently has no plans to star, but he’s expected to take on a recurring role if the show gets picked up. “Hey look, it’s our next-door neighbor, comedian Kevin Hart!” the father character will say, then go read the newspaper while Hart rattles off some jokes about relationships. That’s an episode right there.